Hello! 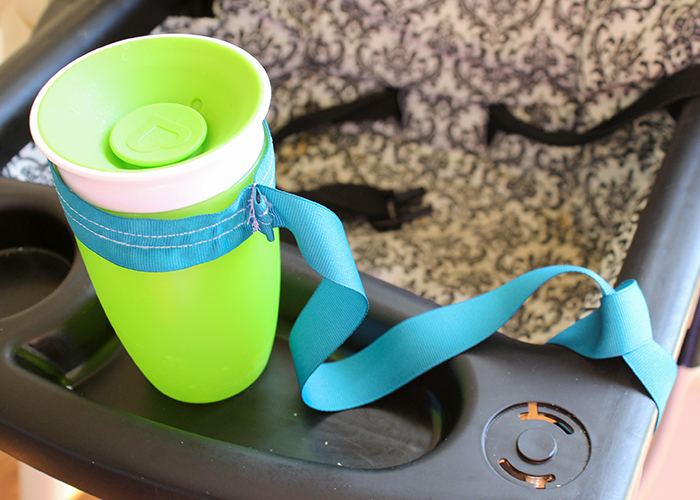 Today I’m sharing this Sippy Cup Leash Tutorial with you! It’s perfect for those fun summer days out, or a toddler who loves seeing how far he can throw his cup. My son’s current record is 8 feet from his high chair. 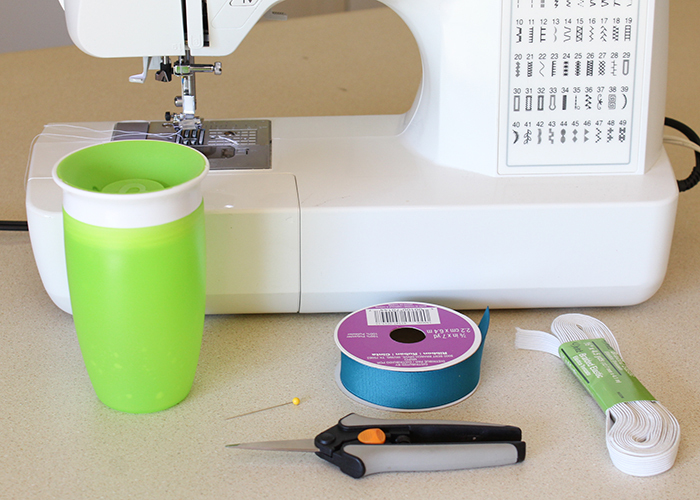 This is super easy to make, all you need to know is how to do a straight stitch on a sewing machine. 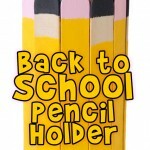 Plus, it doesn’t require velcro, snaps, or d-rings. Just ribbon and elastic! 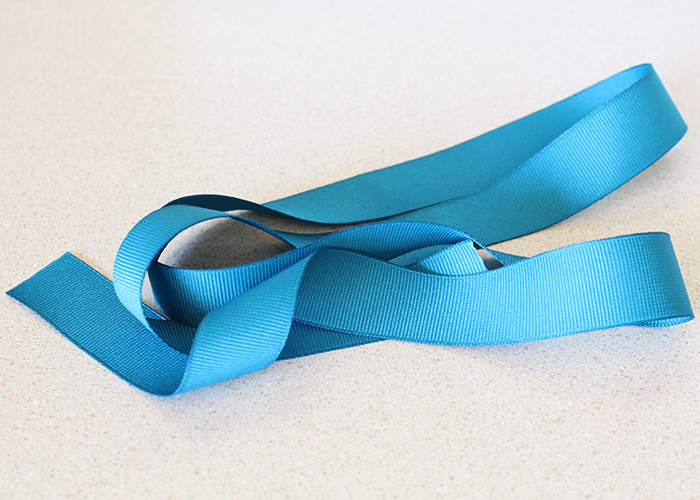 SAFETY NOTE: Do NOT leave children unattended when using this, and make sure your ribbon length is long enough to reach from your stroller/highchair, but not long enough to wrap around their neck. Keep safety in mind please!! Note: I used 7/8 inch ribbon and 1/2 inch elastic, but I would recommend using a slightly wider elastic. You want it to be just a bit thinner than your ribbon. 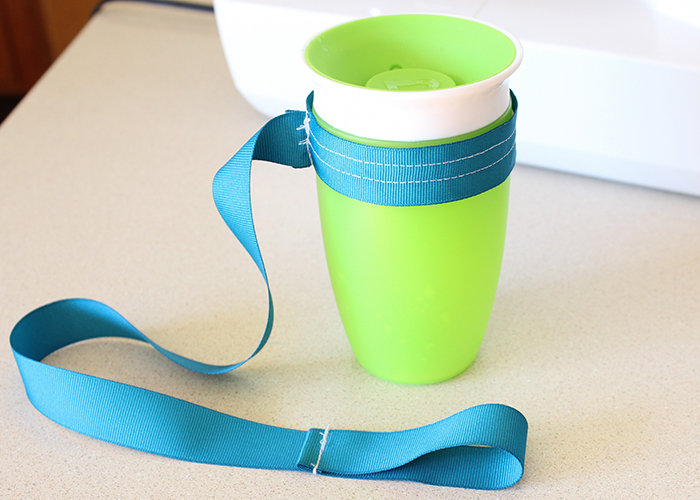 Wrap your elastic around your cup and stretch it slightly to measure it. 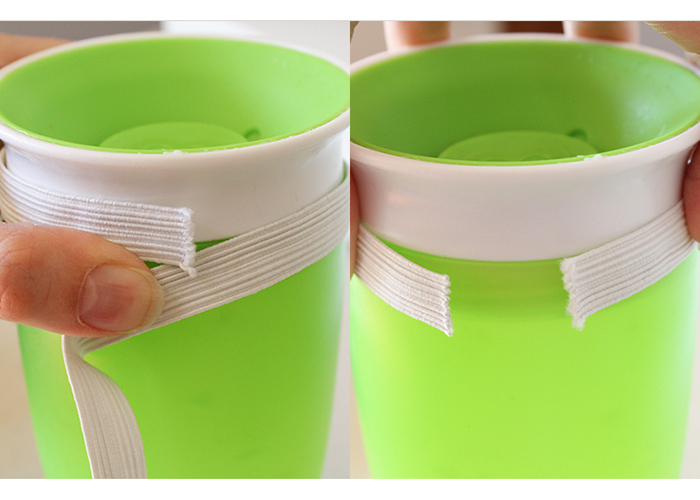 Cut your elastic, and wrap it around your cup again. There should be about an inch gap when the elastic isn’t stretched. 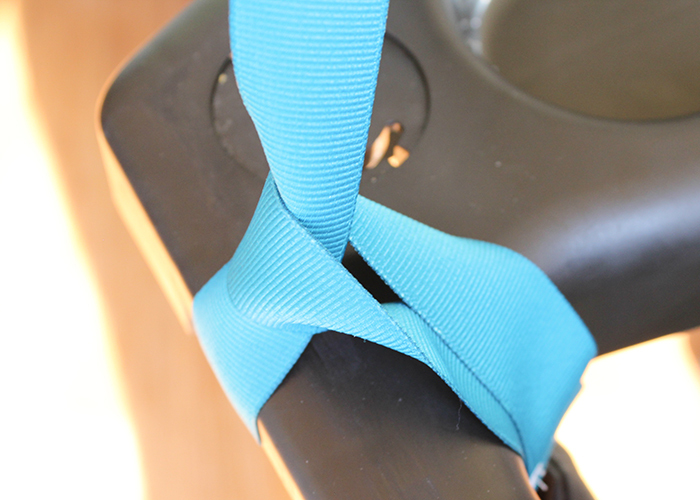 Cut your ribbon long enough to reach from whatever place you’ll be attaching it most (like a stroller strap, or high chair.) I cut mine at about 40 inches, but yours will vary depending on the height of your child and where you plan to attach the leash. 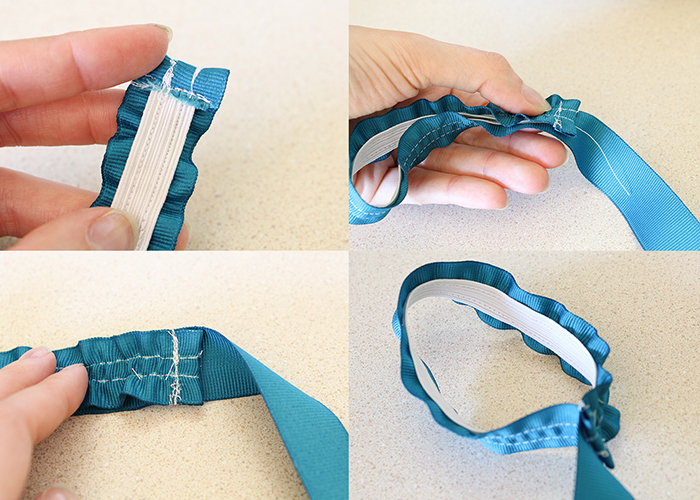 At one end of your ribbon, fold it over twice to tuck the end inwards and create a hem. Stitch the hem down. Then fold the end over about 3 inches to create a loop. Then stitch over your hem stitches to close the loop. This is the part that can attach to just about anything. 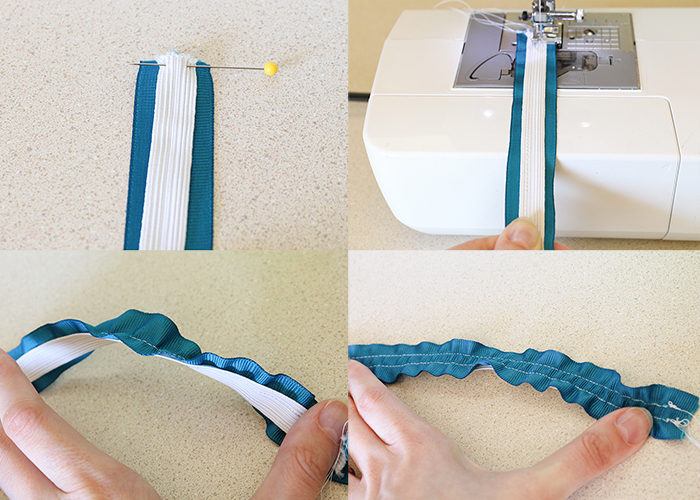 On the other end of your ribbon, pin one end of your elastic piece down to the end of the ribbon. 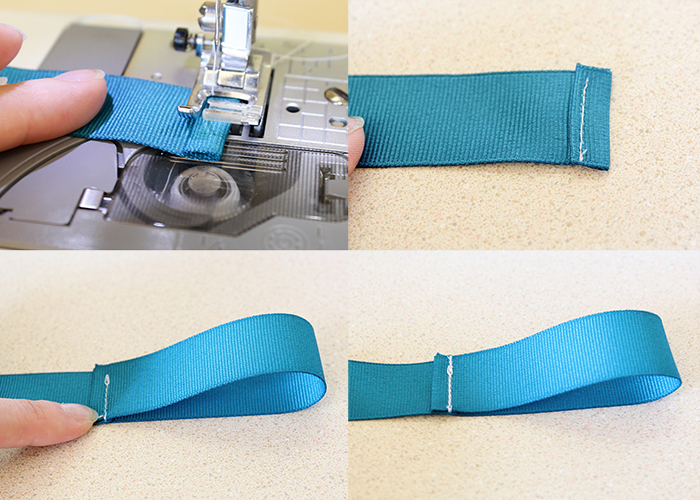 Sew down one side, stretching the elastic as you sew. 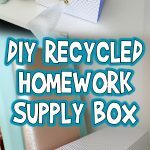 This is a bit tricky, so practice with a scrap piece if you haven’t done this before. 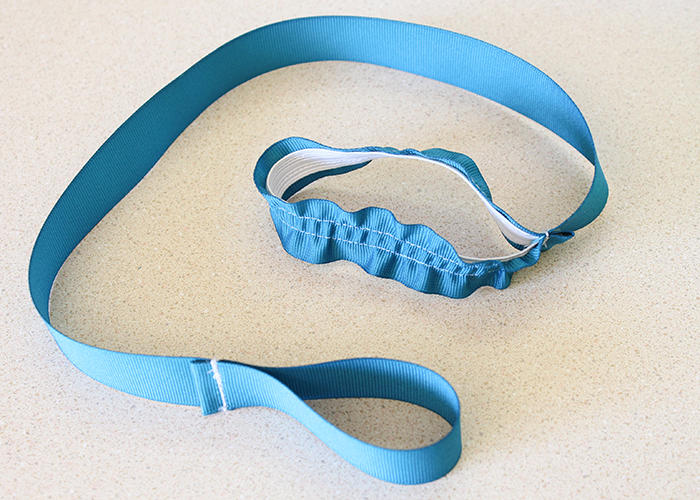 This causes the ribbon to ruffle and look really cute, and allows the elastic to stretch and firmly hold the cup. Then stretch the elastic out again and sew down the other side. When it’s finished, it should look like this! 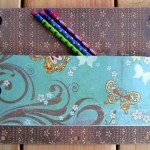 Now take the end of your ribbon and fold it over once to hide the end of the elastic, and stitch it in place. The fold the whole elastic piece over so the ends meet and stitch it down to complete the elastic loop. And you’re done! I told you it was easy! The best part is that there is no velcro to catch on things if you need to watch it, and no metal or plastic pieces that could get chewed on during teething. 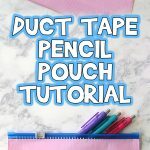 To attach the strap to anything, just wrap it around the place you want it and thread the elastic loop through the regular loop and pull it tight. And then just pop the elastic her the cup like this! I did a test with my very strong 2 year old and he wasn’t able to remove the strap or throw his cup off the tray, so it’s a success! 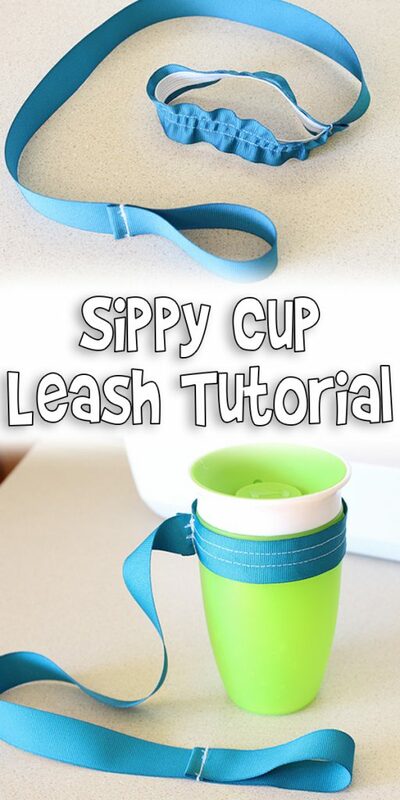 I hope you all enjoyed this Sippy Cup Leash Tutorial!